Policy writing is an important and thoughtful process. Swords Educate Together N.S. implement the following key policies for the safe, happy, and ordered administration of the school. Lengthy deliberation and consultation lie behind each policy. Where relevant and appropriate, all Parents in the school are consulted and invited to participate before Board of Management ratification. Please become involved as opportunities come up. 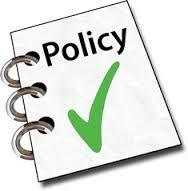 Policy writing is about implementing best practice and putting onto paper what we do. The participation of Parents benefits all children. These policies are in addition to teacher-driven, curricular policy writing, which is ongoing and in line with the implementation of the 1999 Revised Primary Curriculum.